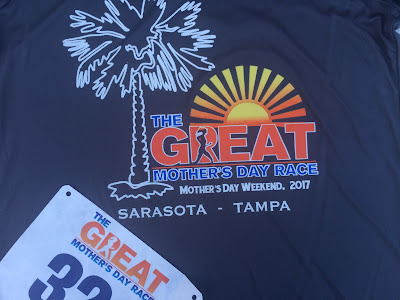 I ran The Great Mother's Day Race this past weekend and I thoroughly enjoyed it. It was a beautiful view, running on Siesta Key Beach. This beach is one of the top rated beaches in America and I was ecstatic to take part in it. I've ran races where parts of it included the beach, but this one was 100% running on the beach. I thought it was going to be a challenge, but it wasn't. I actually enjoyed it. 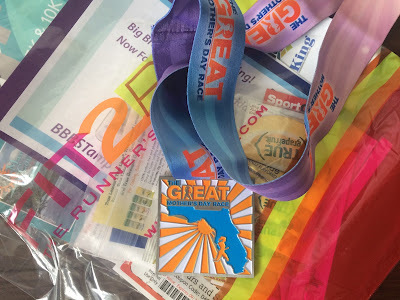 I'll "try" to share more of my running journey as I am training for my first marathon half-marathon. This is a forever run I know I can do, I just need to get the ball rolling. Anyways, I crossed the finish line and got a wonderful workout out of it. Ha! I'm out of the box when it comes to that. Thanks for the encouragement.